Warriors! Come out and plaaaaaaaaay! If you've never seen the movie The Warriors, you're really missing out. It's such an odd movie. It's serious, and yet has gangs dressed up as pimps, or baseball players with clown makeup. It's a story of just trying to get home, but wondering if it was really worth it all in the end. Plus, there's the above lines of dialogue, which I'm sure you've heard of, but might have never known where, exactly, it was from. Well, Silly Kid Games is taking the interesting world of that movie and bringing it to your tabletop. 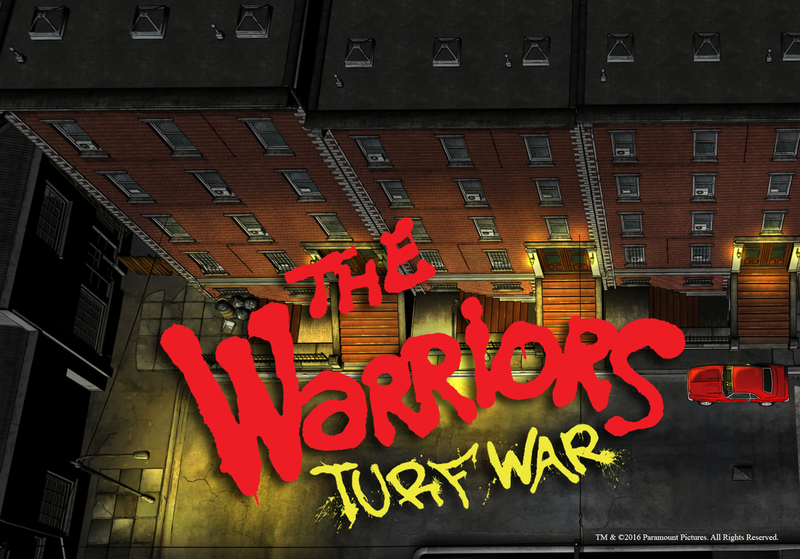 In the game, you'll take control of you own like-clothed gang and try to navigate through the mean streets of New York. Avoid cops, avoid getting into fights you can't handle, and defend your home turf against invasion. Work your way up through the ranks and eventually gain control of all of the gangs of New York (wait, that's a different movie... Oh well).